The market is fluctuating rapidly and IT infrastructures are responding with similar speed. When it comes to optimizing the infrastructure, power management is easily--and often--overlooked. Considering that today's IT environments require near-constant availability, power outages can be more than detrimental. 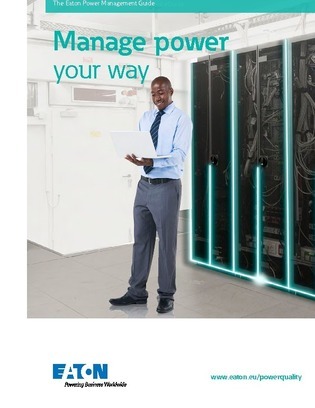 Access this e-book for an in-depth look at the five steps to an intelligent power management strategy that will enable you to fully benefit from your IT architecture.